A deck is a very convenient and enjoyable part of the house. 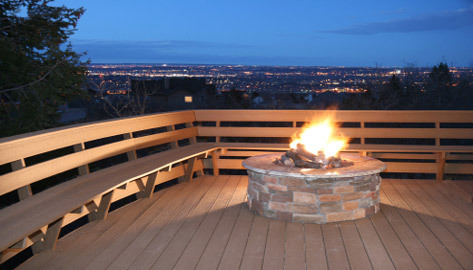 Typically, decks are constructed outside the house with entrance to the house available through stairs or a doorway, however roof decks have also become popular. A common material used for constructing decks is hardwood as it is a very durable wood and fares well with outdoor conditions. Besides hardwood, treated lumber and wood-plastic composites are also common decking materials.